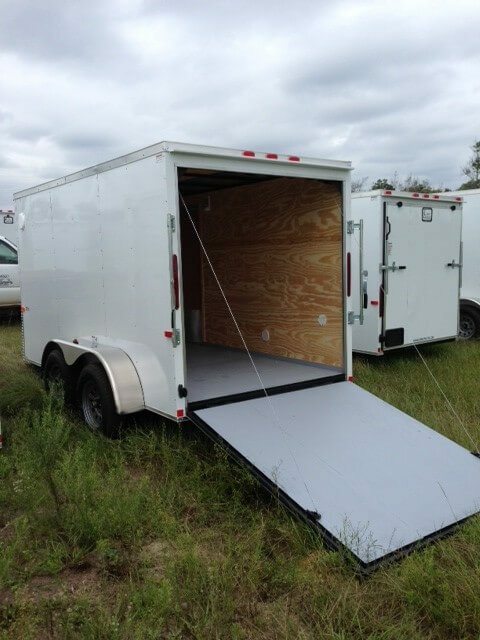 This 5′ x 12′ ′tandem axle enclosed cargo trailer manufactured by Cargo Craft has many, many features that make this trailer an outstanding value. It starts with tubular steel main frames, walls and ceilings, making them the strongest frames in the industry. 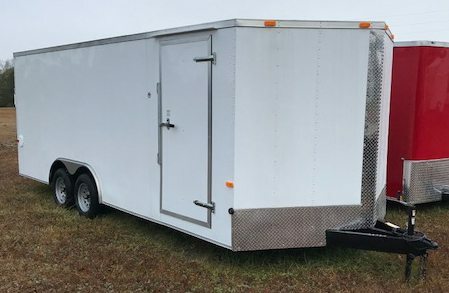 You simply cannot find a better 5 x 12 ft trailer at a lower price. 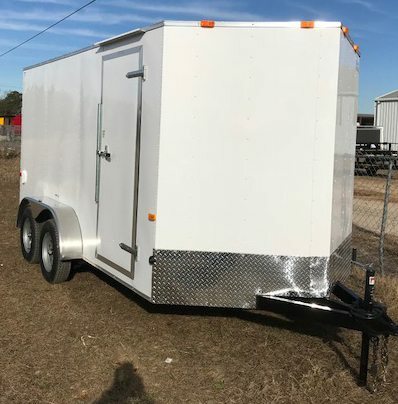 This 5′ x 12′ tandem axle enclosed cargo trailer manufactured by Cargo Craft has many, many features that make this trailer an outstanding value. Trailer shown with optional ATP nose guard.